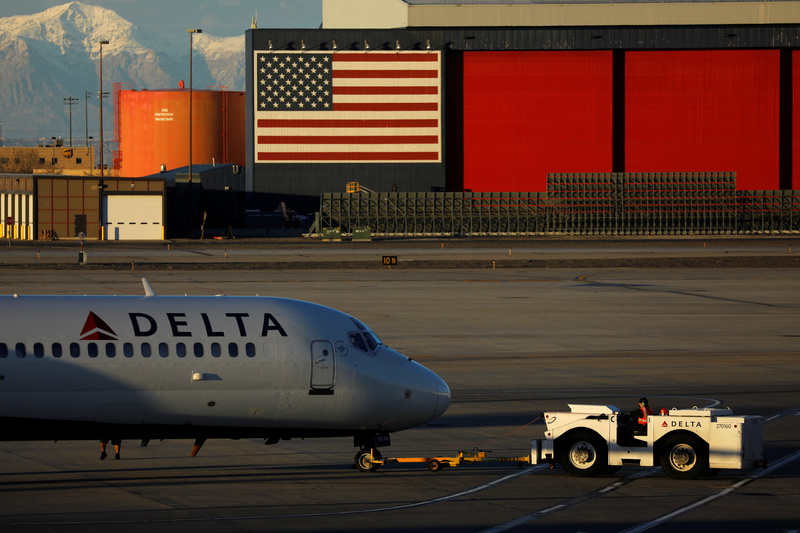 Delta Air Lines says it loses $25 mln of revenue every month the government stays closed. Big deal. Like the market plunge that hit bank earnings, the shutdown has high visibility but little lasting impact. There are bigger risks to valuations that are harder to visualize. A Delta Airlines flight is pushed put of its gate at the airport in Salt Lake City, Utah, U.S., January 12, 2018. Delta Air Lines said on Jan. 15 that the partial government shutdown will cost $25 million per month as government workers reduce travel. The U.S. airline also reported earnings the same day, saying that it earned $1.30 per share in the fourth quarter, after stripping out one-offs such as gains and losses from investments, above the $1.27 per share expected by analysts. The same day, United Continental Holdings, the parent company of United Airlines, said that fourth-quarter earnings rose to $2.41 a share from $1.44 a year earlier on a comparable basis, beating analyst estimates.